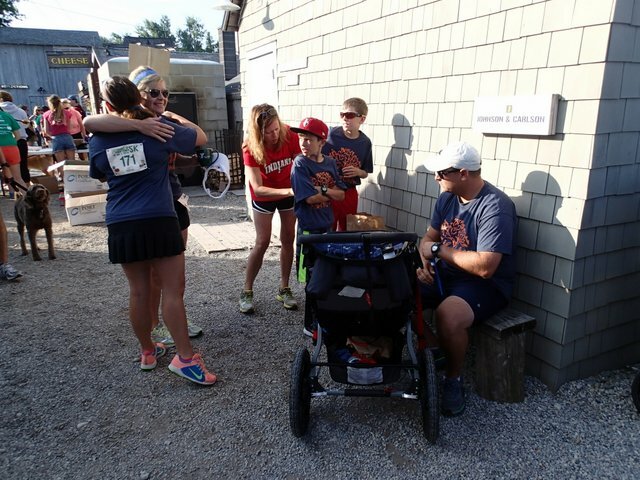 July 19th was an awesome turnout for Team Leland gal at the Fishtown 5K! Why did we start the idea of doing teams? To help out our little storefront home of Fishtown. 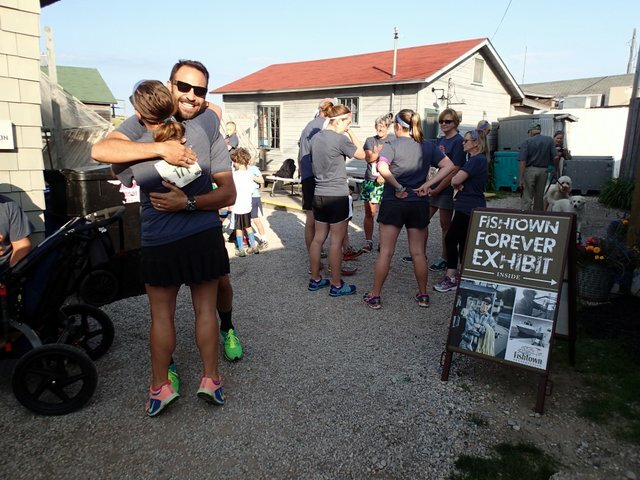 Fishtown is a very special place to anyone who has spent time in Leland, Michigan, and we at Leland gal feel that creating a little fun loving competition can create a larger community of people to help raise money to maintain and preserve our little fishing village. It is our hope that other local merchants will join us, and eventually take us down with a larger team, only helping Fishtown further. Tommy got all dressed up in his Leland gal bow tie to join his folks in his first 5K. Hugs all around for friends joining in to be a part of our team. 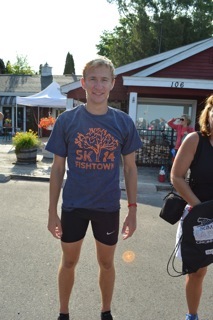 Patrick is all smiles and pumped for his first Fishtown 5K. Gracie finds it important to hydrate before a race. Our little family unit crosses the finish line together (oh, yeah we definitely ran the whole time). Many thanks and congrats to the winner of the 5K, Andrew Groff, who won the whole race and showed our team spirit well, post race. 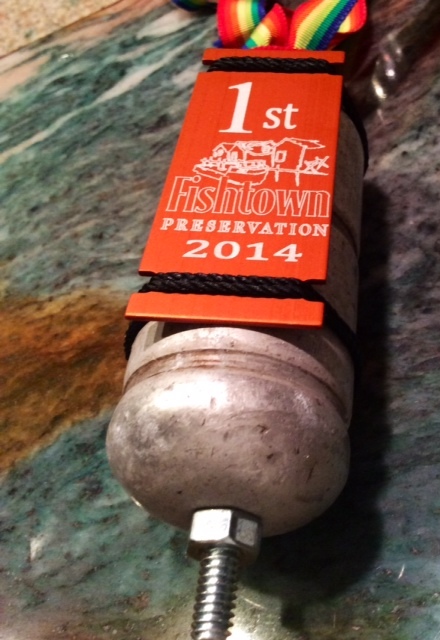 Until next year, we will hang our first prize medal in the shop with pride for the largest team, and while we will still work on team growth, we'll secretly hope we won't get a third one because another shopkeeper dominates us to create a larger team to help out our special fishing village.